Every now and then, you may be tempted to put off your credit card payment for a few days, especially when you're low on cash and have a bunch of other bills coming due. Sometimes even knowing the consequences gives you just the push you need to send your credit card payment on time. You can rationalize a late fee, even learn to live with a penalty rate increase, or worse, choose to suffer the credit score damage from a late payment. But, push those thoughts aside and instead think about the benefits of making your payment on time. Your accounts stay out of collections. More credit card companies are turning to debt collection agencies when their customers don’t send credit card payments on time. Even the smallest credit card balance can get sent to a collection agency if it goes unpaid for several months. Once an account is in collections, you no longer have the option of making minimum monthly payments. The collection agency will demand the full balance and sometimes even an additional fee, as allowed by law. Collection agencies contact you repeatedly until you pay up and can even place the delinquent account on your credit report. Pay on time and you can avoid dealing with debt collectors. Enjoy a lower interest rate. Late payments can cost your low interest rate. Credit card issuers are allowed to increase your interest rate if you’re more than 60 days late on your credit card payment. The penalty interest rate on many credit cards is a staggering 30%. While the penalty rate will expire if you pay on time six months in a row, in some cases, the penalty rate will continue to be applied to new purchases as long as you have that credit card. Paying your credit card on time allows you to triggering a higher interest rate on your credit cards. Credit card issuers are allowed to raise your interest rate on any other credit cards you have with them, even if you've always kept up with those payments. You can be charged a late fee just minutes after your credit card payment is due. Avoid expensive late fees (between $15 and $38) by sending your credit card payment on time. The first time you're late on a credit card payment, your late fee will be as much as $28. If you're late again within six months, your late payment can be as high as $38. Make your credit card payment before the due date to avoid the risk of missing the payment cutoff time. Thirty-five percent (35%) of your credit score is based on whether your credit card payments are made on time. Your credit score benefits the most if you consistently make your credit card payments (and all your other payments) on time. Insurance companies increasingly use your credit score to determine insurance rates. When late credit card payments lower your credit score, your insurance rates could increase when it's time for your renewal. Sending your credit card payment on time helps you get the lowest insurance rate and therefore helps you save money. Keep your monthly payments low. When your credit card payment is lade, your next minimum payment will be more than double what it would have been had you not missed a payment. That's because your next credit card payment will include two minimum payments and a late fee. If you have trouble making your credit card payment, putting it off won’t make it easier to pay. Instead, the opposite happens and it gets increasingly difficult to get caught up. Keep your credit card in good standing. 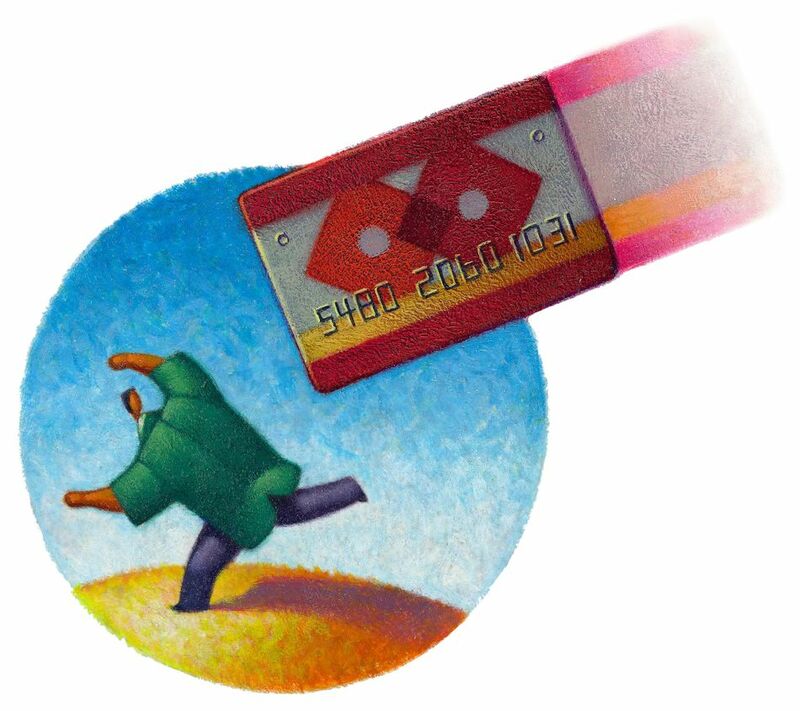 Missing a credit card payment puts you at risk of having your credit card close. This could hurt your credit score, especially if you have a credit card balance. Keep sending your credit card payment on time so your account remains open and in good standing.